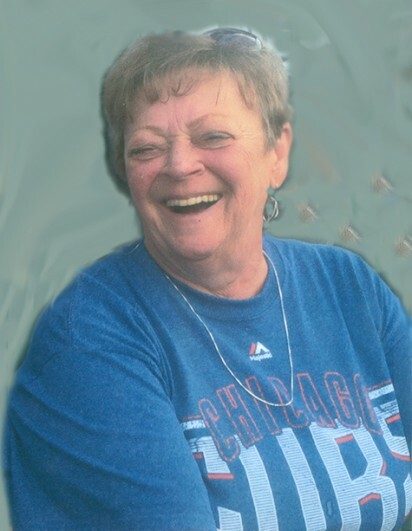 Bonnie J. Blume, 71, of Soldier, Iowa died Thursday, August 16, 2018 at Maple Heights Nursing Home in Mapleton, Iowa. Funeral services will be 10:30 A.M. Wednesday, August 22, 2018 at the Soldier Lutheran Church in Soldier, Iowa with Pastor Marsha Smith, officiating. Burial will be in the Spring Valley Cemetery, rural Moorhead, Iowa. Visitation will be 5:00 to 8:00 P.M. Tuesday, August 21, 2018 with a prayer service at 7:00 P.M. at the Church. Arrangements are under the direction of Rush Family Care Service, Onawa, Iowa. Bonnie Jean was born August 5, 1947 in rural Pisgah, Iowa the daughter of Dorrance and Pearl (Pedersen) Woodward. She grew up near Moorhead, Iowa and graduated from East Monona High School in 1965. Bonnie and Jerry Blume were united in marriage on September 4, 1966 in Soldier, Iowa. One son was born to this union, Steve. Bonnie worked for Mutual of Omaha in Omaha, NE for a short time and then for Ikan Telemarketing in Soldier, Iowa. She also worked for U.S. Bank in Onawa, Iowa for several years until her retirement. Bonnie enjoyed spending time with her family, doing crafts, gardening, and sold Avon for over thirty years. Bonnie’s big smile and bubbly personality will be missed by all. She was a member of the Soldier Lutheran Church in Soldier, Iowa. Survivors include her son, Steve (Michelle) Blume of Sioux City, IA; grandchildren, Joseph Blume and Rylie Blume both of Sioux City, IA; two sisters, Carolyn Patterson of Scottsdale, AZ and Marcia (Phil) Watters of Des Moines, IA; one brother, Robert Woodward of Woodward, IA; two brothers-in-law and their family, Rick (Judy) Blume of Ute, IA and Gilbert Blume of Kansas City, KS; sister-in-law and her family, Judy Pohlman of Sioux City, IA; several nieces and nephews, cousins, other relatives and many friends; Gale Oliver’s five daughters and their families, Michelle (Brad) Moore, Kristi Oliver, Angela (Kelly) Bothwell, Julie (Brent) Kuhlman, and Tara (Danny) Rife. She was preceded in death by her parents, Dorrance and Pearl (Pedersen) Woodward; her husband, Jerry Blume; niece, Michelle Watters; brothers-in-law, Robert Patterson and Roy Pohlman; sisters-in-law, Mary Woodward and Marge Blume; and Bonnie’s fiance and companion for many years, Gale Oliver who passed February 23, 2018.